The wonderful folks at Wayfair.com sent me another costume! Can you guess what it is . 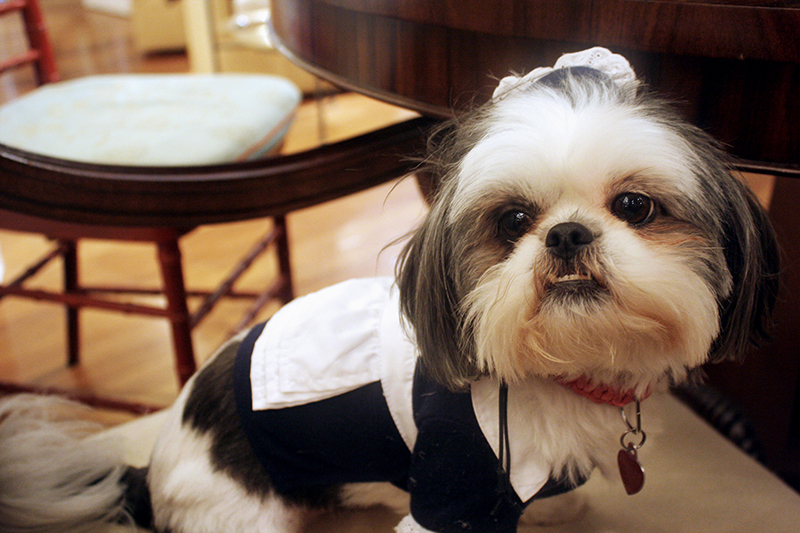 . .
Mama and I love this costume! 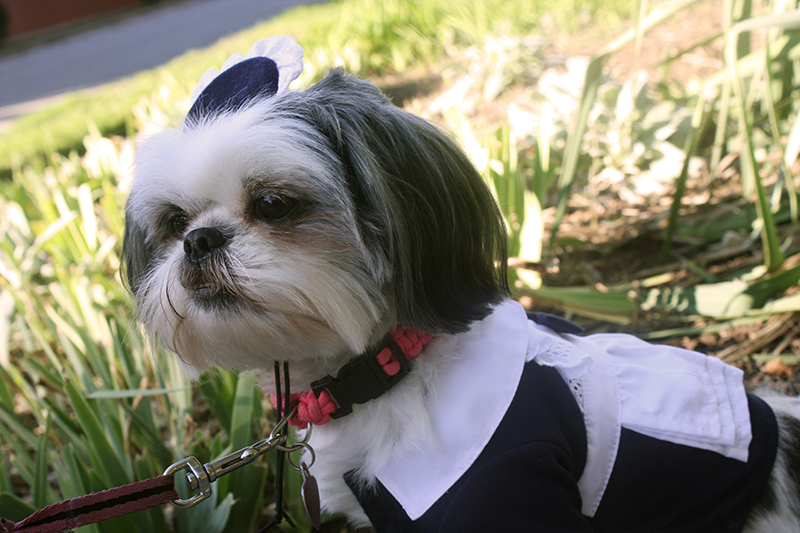 The photo pictured is black and white on the Wayfair website (you can buy the costume here), but the dress is actually a navy blue – not black at all. But that was no biggie. It’s a little small for me (not long enough; the sizes for this brand run smaller than normal), but it still fit and I didn’t put too much of a fight as we were putting it on. 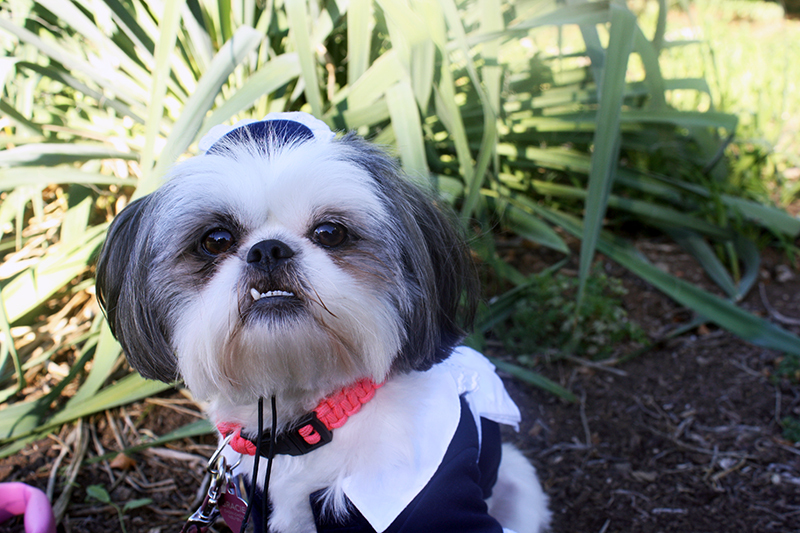 However, I was tricked with lots of doggie treats to put it on. It’s a pretty nifty outfit. Not as high quality as my last costume – the Alpine Beer Girl – but it still looked cute on me. We loved the little bows on the back of the dress. 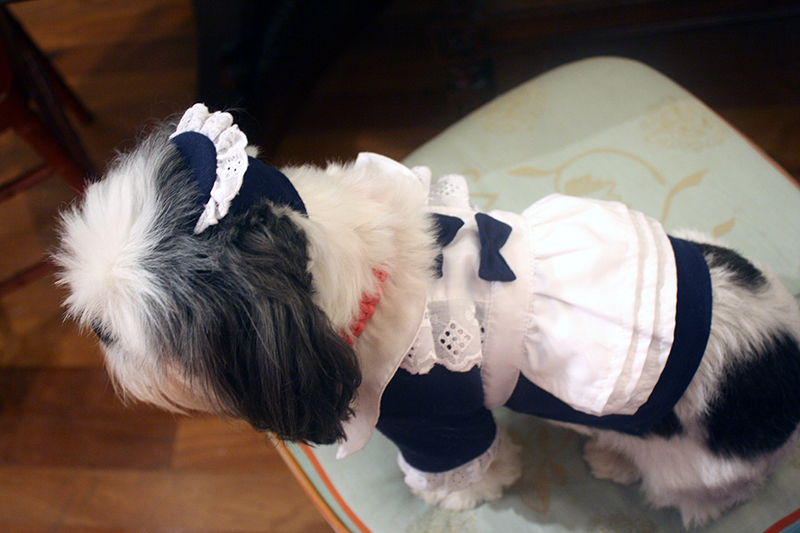 Mama especially loves the little French maid hat that comes with the costume. And guess what – I couldn’t shake it off. There are holes for where your ears go, and it fit perfectly on my little head! And oh my dog, it stayed there for hours. I shook; I ran all around, and it still stayed on. It did NOT fall off… which is amazing for a doggie hat, since most of them can be easily shaken off. 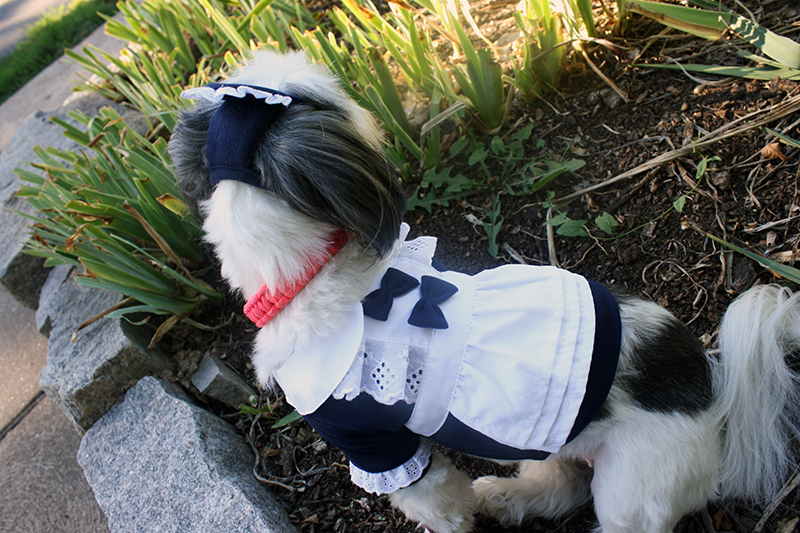 Mama was way impressed, and she thought I was simply so cute with this outfit on. 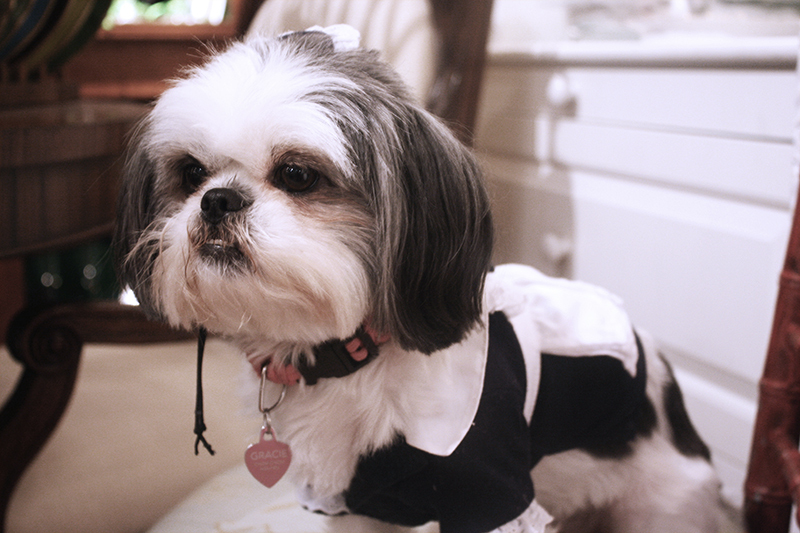 I even went to work as a French Maid. Everyone thought I was super cute, and I guess I was. So I can’t complain. 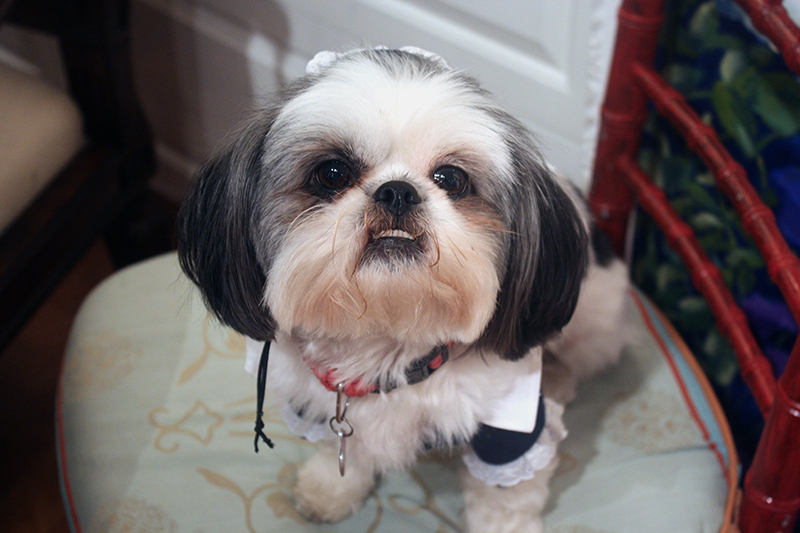 A close-up of the head dress … Isn’t it adorable? 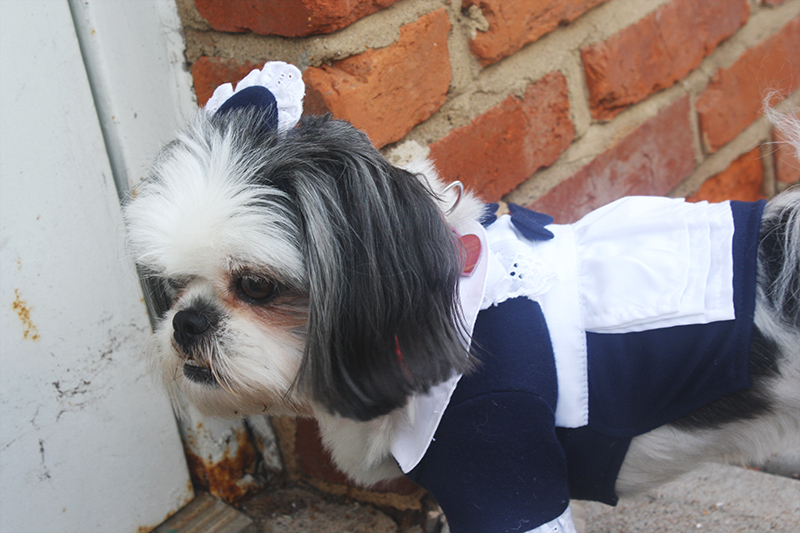 Here are even more photos of my French Maid Dog Halloween costume. We took a lot of pictures, because I wasn’t cooperating with the picture taking! My hair got a bit frazzled at the end, but that’s OK.
What do you think of my outfit? Super cute or no? Can you stop by and help me out with cleaning? Oh I love this one, it’s my favorite and the cute hat makes me melt. 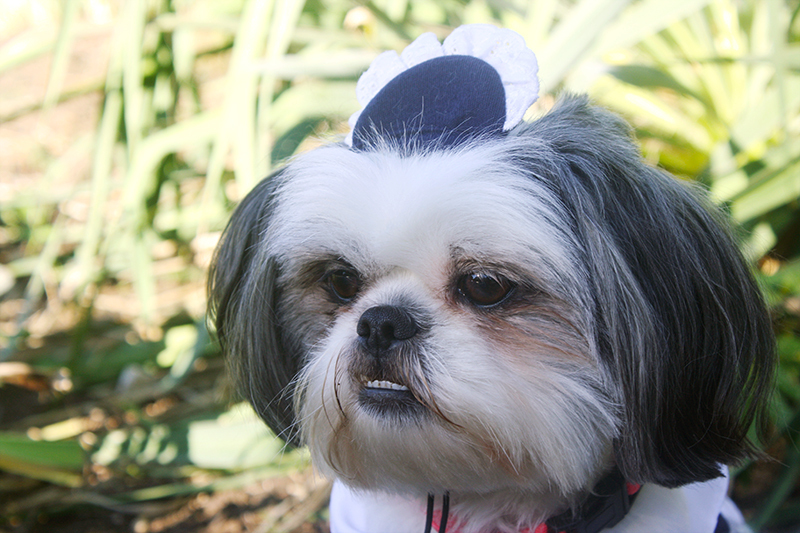 “May I take your coat & hat, and sit you in the parlour where I can bring you some port um, I mean a treat, to warm you, Master Louie?” she said as she batted those lovely dark eyelashes…..